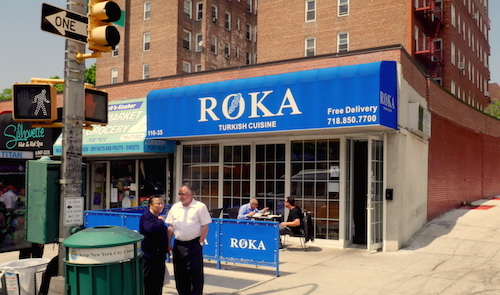 The world food diners of Kew Gardens do not have the array of choices that exist in most other parts of Queens, so when a decent Turkish restaurant moves in a few years back, it is something to be thankful for indeed. The dining room of this efficient place is on the neutral side, but trends heavy towards the typical Mediterranean blue and white and showcases some very elaborate mosaics. 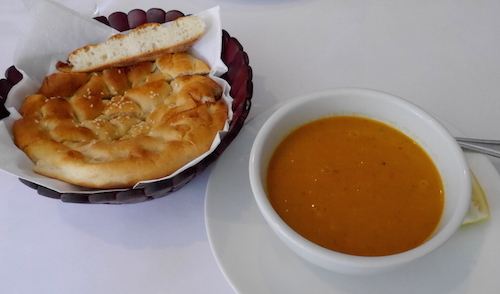 The soup (above) was part of the daily lunch special, the Turkish bread was fresh, fluffy, and unlimited. 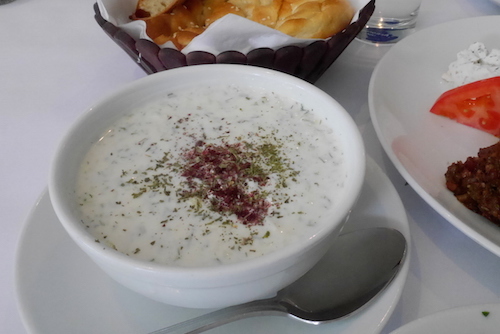 On this warm day, we were in the mood for some cold meze and ordered the tabule ($4, below) and cacık ($4.50, below). 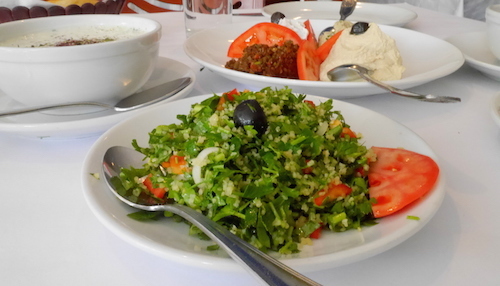 The latter was the star of the two, and another plate of bread came out just to make sure everything was scooped from the bowl. 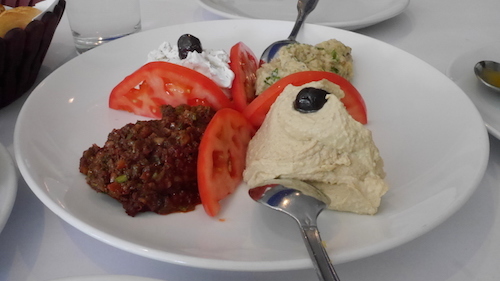 We also were excited about the mixed appetizer platter ($12.95, below), which had a fixed menu of four meze: lebni, a strained yogurt with walnut, garlic and dill; babaganush, the eggplant puree; special ezme, a smoky and spicy tomato, walnut, and garlic delight, and hummus. 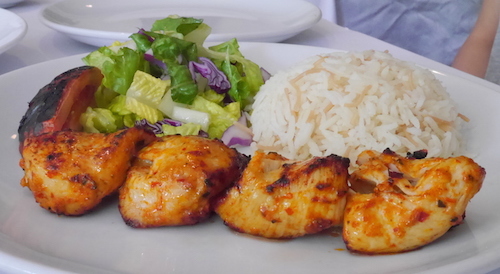 The lunch special entree option we chose was the chicken kebab, which was probably the nicest tasting item on our table. The meat is marinated and grilled just right, served with a side of good rice and a forgettable salad. 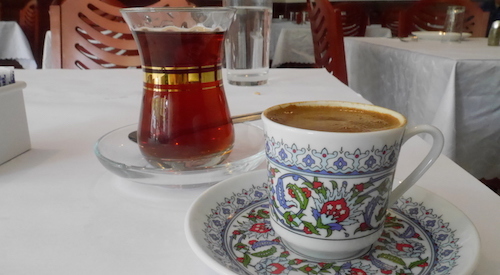 The Turkish tea was not that, just served in a traditional glass, while the coffee was definitely Turkish, a thick oil of caffeine. 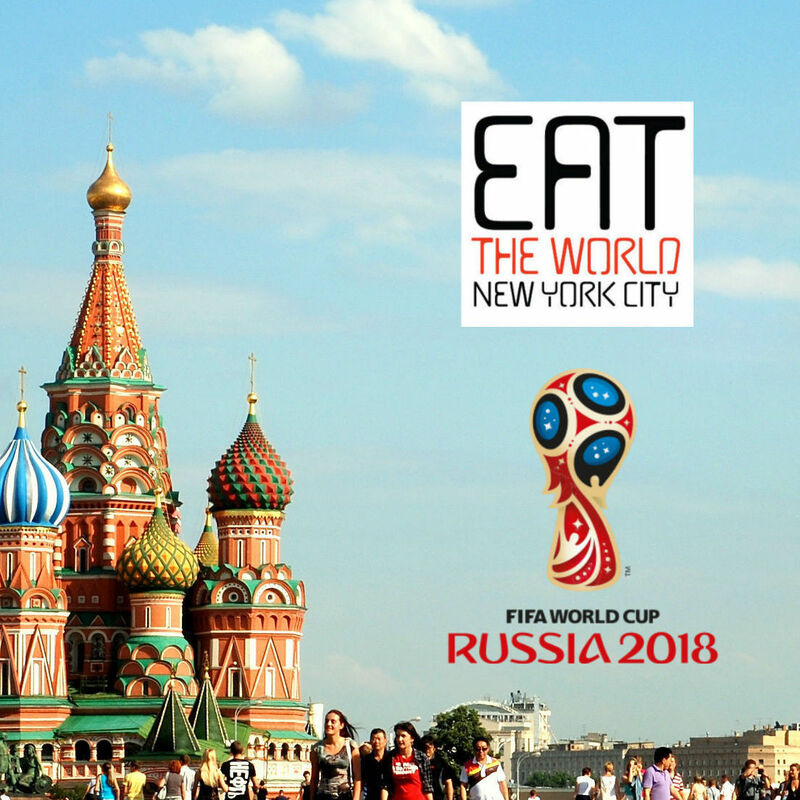 Either way, a good ending to a good lunch in one of the greener neighborhoods of New York City.